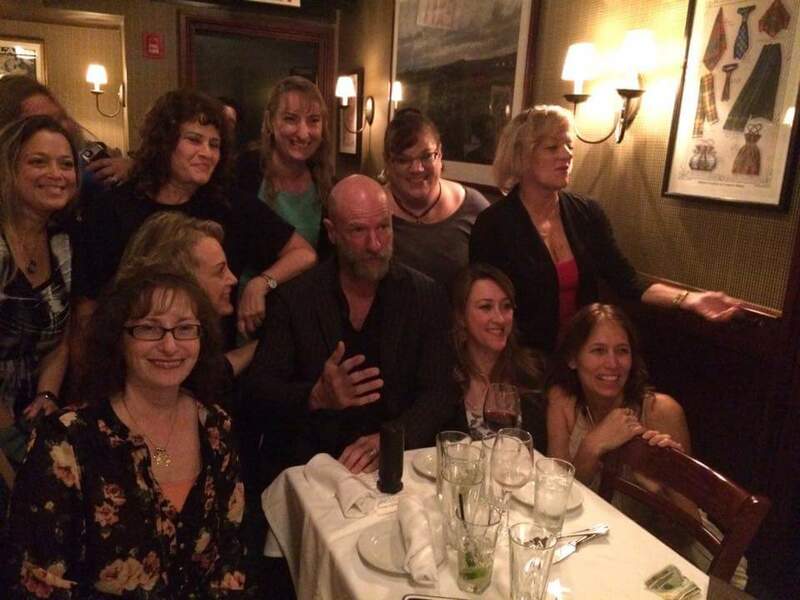 “An Evening with Graham McTavish”, held in NYC on October 8th. 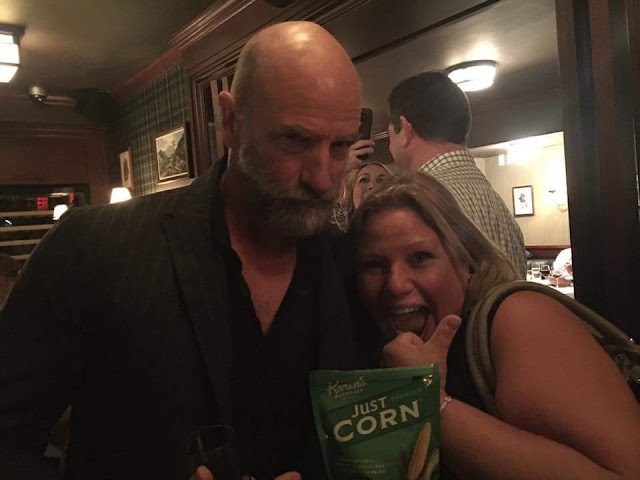 Q: So where did the idea of “An Evening with Graham McTavish” come from? 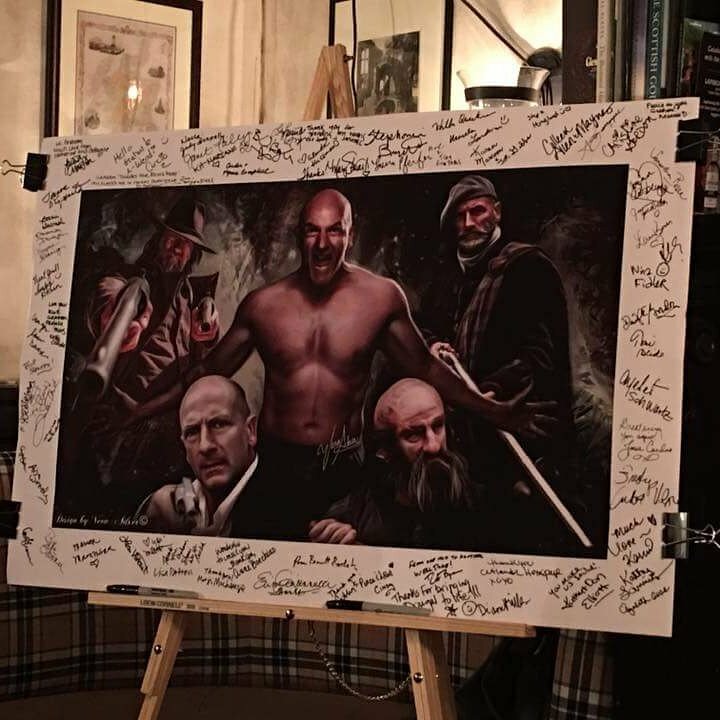 Dorianne: From the time the Outlander Homepage blog began, we have been lucky to have had the support of various members of the cast and crew. In fact, Graham was our very first official cast follow. 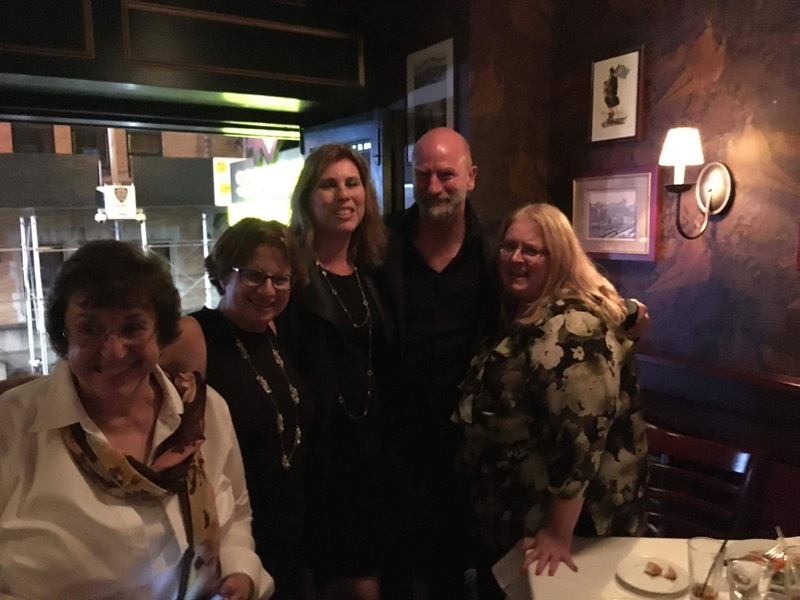 When it was announced that Graham would be at New York Comic Con this year, the event sold out, much to the disappointment of many NYC Outlander fans, including a fellow fan page admin, Lisa Woody, from Outlander Forever. Lisa and I started talking about other ways of seeing Graham while he was here in NYC and Lisa suggested that we create our own event. I’m always up for a challenge, so I agreed! Q: Great idea! But how on earth did you make it happen? 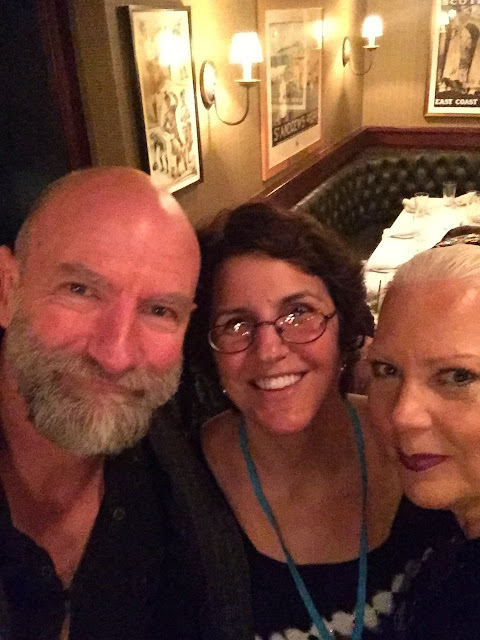 Dorianne: My husband and I had been lucky enough to meet Graham at the Jibland event in Italy earlier in the year. Graham is a wealth of information on Italy and had chatted to my husband, Jaime, about Italian beaches and their proximity to Rome. Anyway, I contacted Graham via direct message on Twitter, reminded him of our previous meeting and asked whether he might consider attending another event whilst in NYC - with all the proceeds being donated to his charity, Action For Children. Fortunately for us, Graham agreed to do just that, provided it would fit into his schedule, which it did! The whole acceptance process only took about 3 days - it was very exciting! Q: Well done! But a charity event doesn’t just happen - talk us through some of the organisation that had to occur after Graham said yes. Dorianne: I knew I needed help, as our fan page had never organised an event before. I knew what I wanted to do: giveaways (everyone loves them! ), food (we all have to eat!) and music. 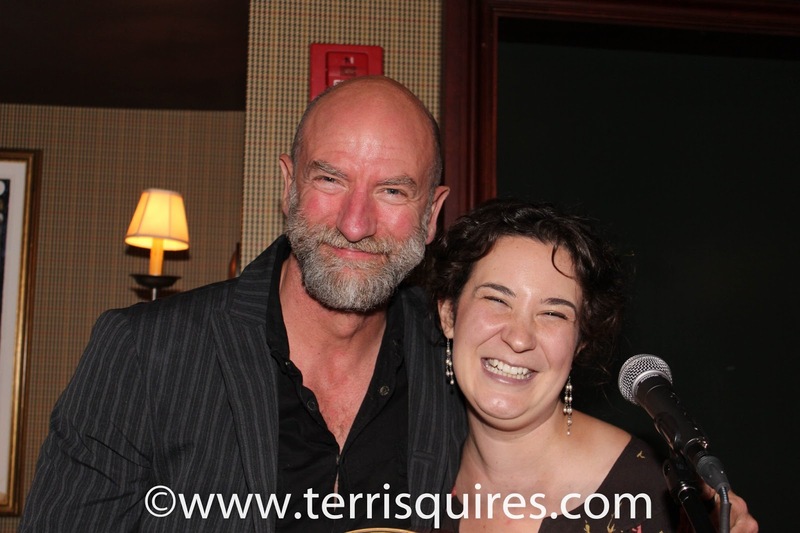 So I contacted Liz Mercado, NYC, SAG affiliate Artistic manager, for talent and our go-to person for Celtic interviews on anything related to Scotland. 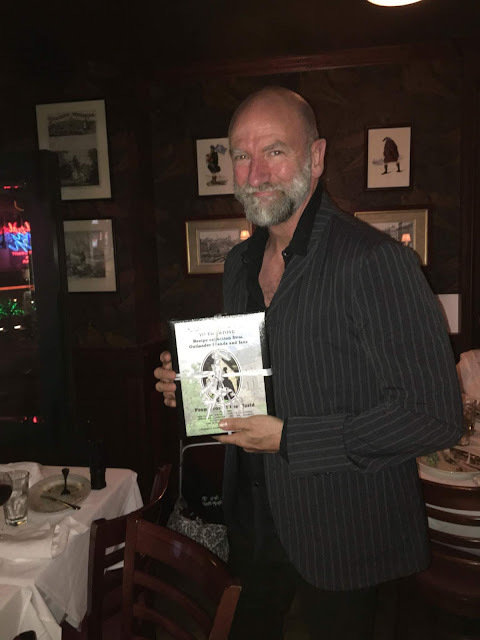 She had introduced me last Winter to Kyle Carey, a very talented Gaelic singer, who had honored me with a CD of her music. Since I had listened to it until it warped from being played, I knew that I needed Kyle to sing at our dinner. When she agreed, I couldn’t wait for Graham to hear her! 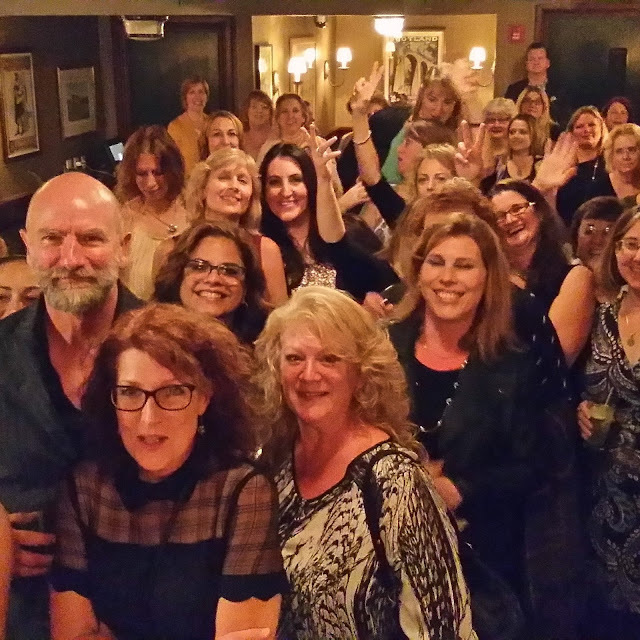 As far as venues went, Lisa and I felt that an intimate setting would be best, as it would allow the fans purchasing tickets to get an “up close and personal” version of Graham, one that maybe they don’t see at the conventions and panels of the big shows. Luckily, St Andrew’s Scottish Restaurant was available for the exact weekend we needed. 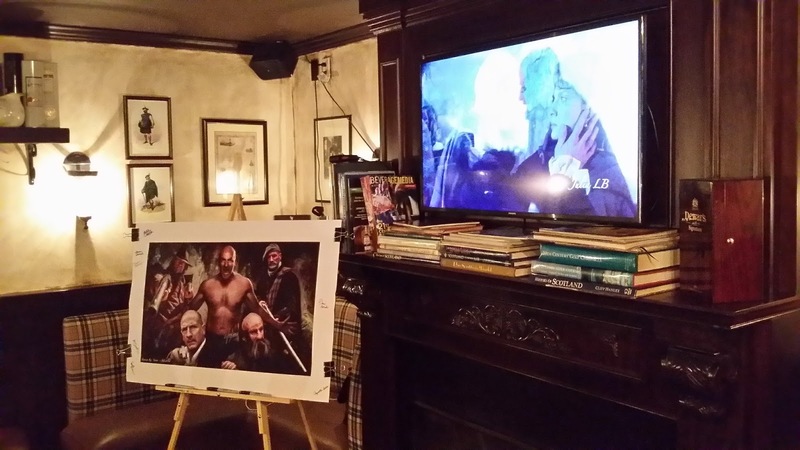 On top of that, thanks to donations from many talented Outlander fan artists, our advertising posters, giveaways and raffles were all sorted. The final piece of the puzzle came together thanks to Bonnie Terbush of The Peak Posse. 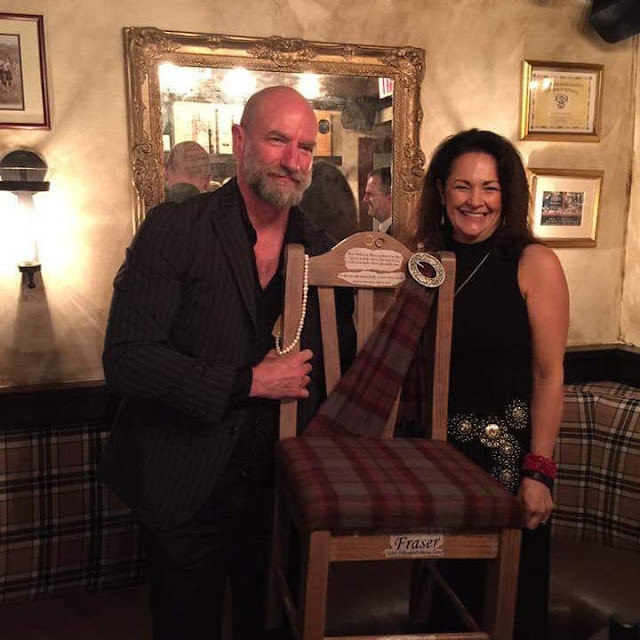 Bonnie runs the Just Giving pages of “What’s in the Basket” for the Outlander cast members’ chosen charities and she agreed to speak on behalf of Action for Children. We were ready! Q: Tell us a little bit about the night. Was it everything that you had imagined? 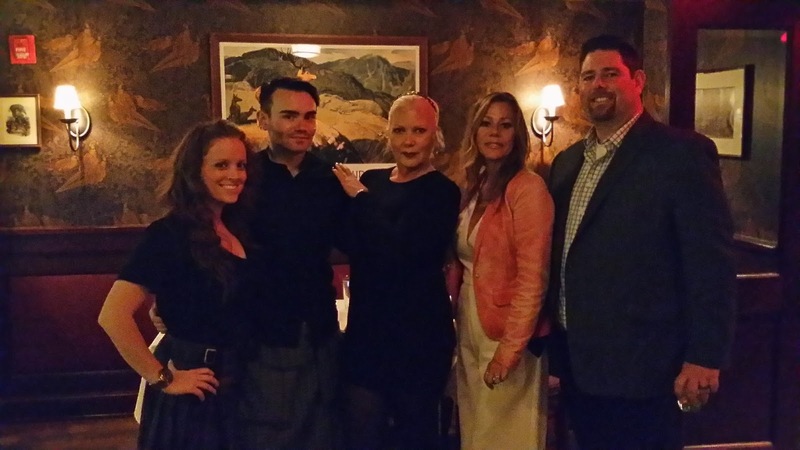 Dorianne: Yes, it was an awesome experience! On arrival, everyone received a goodie bag and were asked to sign a poster that Graham kept as a memento, by Vera Adxer. When Graham arrived, he moved from table to table, treating everyone like family, telling stories, taking selfies and chatting. 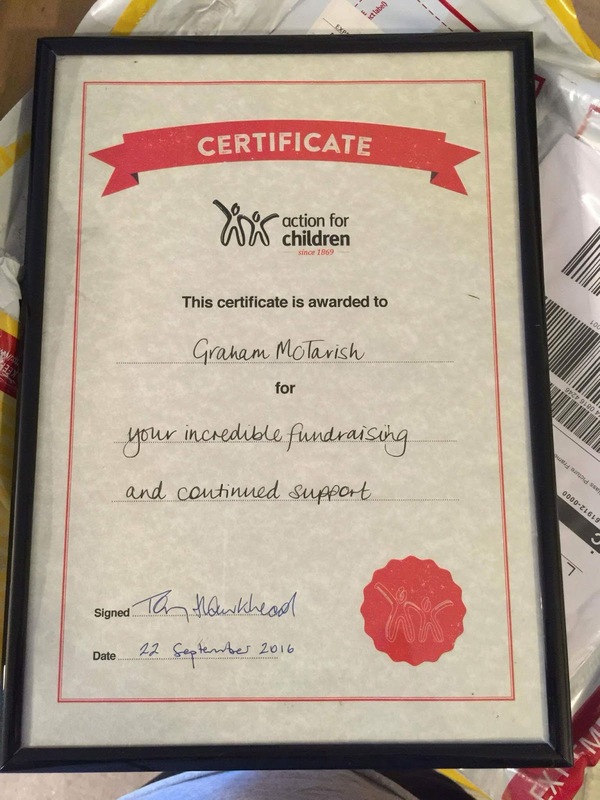 We ate our meals and later on in the night, Graham was also presented with a plaque for all the work he does on behalf of Action for Children. Q: How did the fundraising end up? Dorianne: It was very successful. 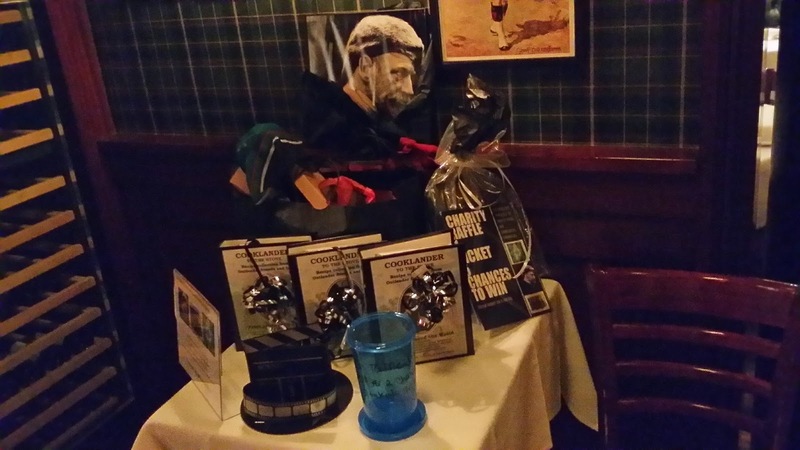 We had 17 giveaways and cash raffles, thanks to donations from Dutch Art, Cooklander Cookbook, Barbara O'Boyle and Book Scents Candles. Bonnie Terbush had made a special Outlander chair and a treasure chest that were also bid on, to support her participation in the London marathon next April for Action For Children. Graham read out all the winning numbers and by the end of the 3 hours, we had raised 10% plus for the charity. Q: So you didn’t really want the night to end? Dorianne: Well, Graham didn’t, that’s for sure! 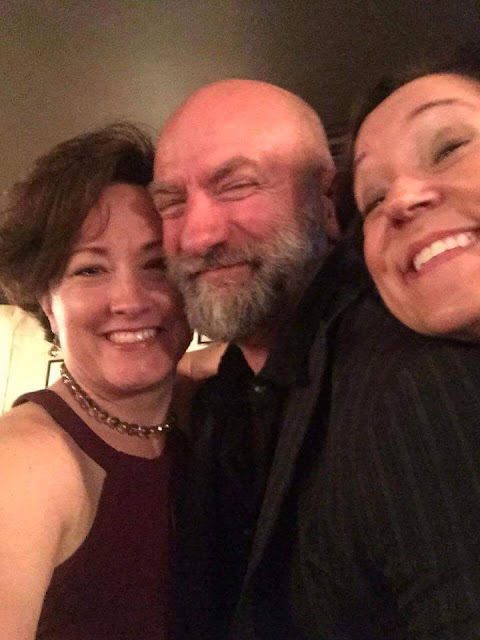 He chatted and hugged his way through the place multiple times and at 10:30pm, half an hour after his scheduled departure, he announced that he was staying and asked for wine! But all good things eventually have to come to an end. Graham was such a generous guest. He also complimented the entire Outlander fandom, announcing that if he could share a dram of his favorite whisky with anyone, it would be them! 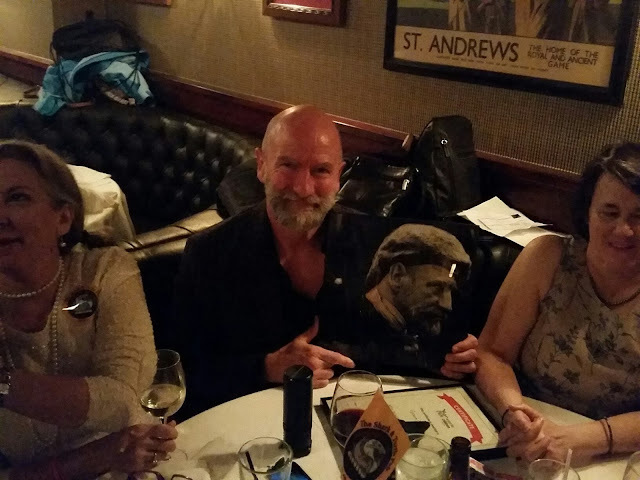 Graham McTavish accepting a plaque from Action for Children, UK. 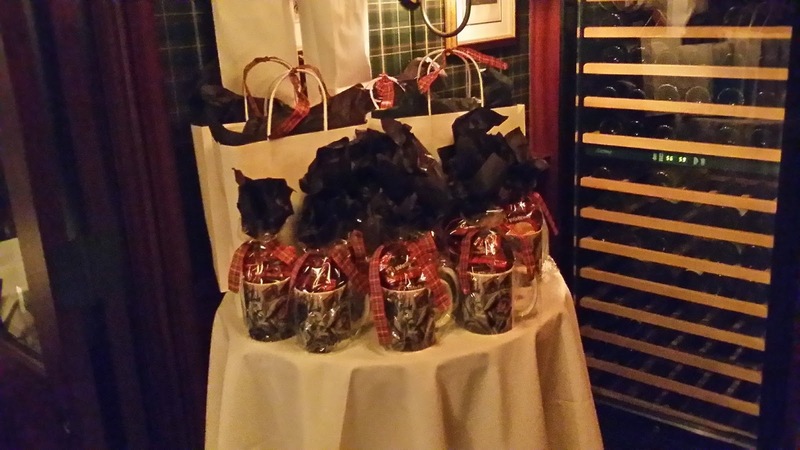 Thanks to Dorianne Panich for giving us a glimpse of this wonderful event. This interview was conducted by Susie Brown, a writer and teacher-librarian who lives in Australia. She wishes she could have flown over to join in the fun! Tulach Ard!